How to Get Healthy Skin – Be Like Kramer? It’s an understatement to say that Kramer took care of his skin. He’s by no means a model (though Calvin Klein might have something to say about that) but he still found the need to regularly apply balms of all kind. Usually these weren’t cheap generic ones but exotic brands with special benefits. He even brought a little bottle with him wherever he went. He was particular about the shaving lotion he used as well. 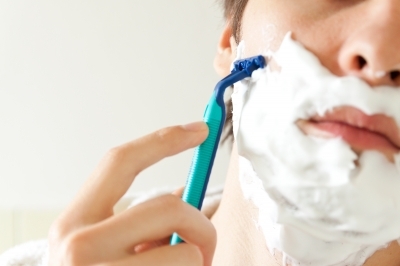 Harsh aftershaves usually consist of alcohols that dry the skin out and further damage the skin. While we wouldn’t recommend butter, Kramer’s aftershave of choice, we recommend using a regular moisturizer to both shave and apply on after. “You put the balm on? Who told you to put the balm on? I didn’t tell you to put the balm.” Kramer certainly ruined attorney Jackie Chiles’ day when he found out that the coffee spill burn that they were suing for disappeared after a healthy application of balm to the burm. Scarring is a devastating effect of a bad deep skin wound. Unless you’re suing Starbucks over spilt coffee, it’s highly recommended to consistently apply a moisturizer or regeneration cream to a damaged area. Believe it or not, lathering is something very few people do right. It’s an art that we try to teach every customer to do properly. Without proper lather, the benefits of a good soap will not be reached over the whole skin surface and other products will not wash off. This may be more damaging in the end. Kramer lathered all wrong in the shower. What he did was take advice from Jerry about the proper way to lather. He even took notes from other bathers. Not something I’d recommend anyone to do in a public place but is no reason not to consider in taking advice about. 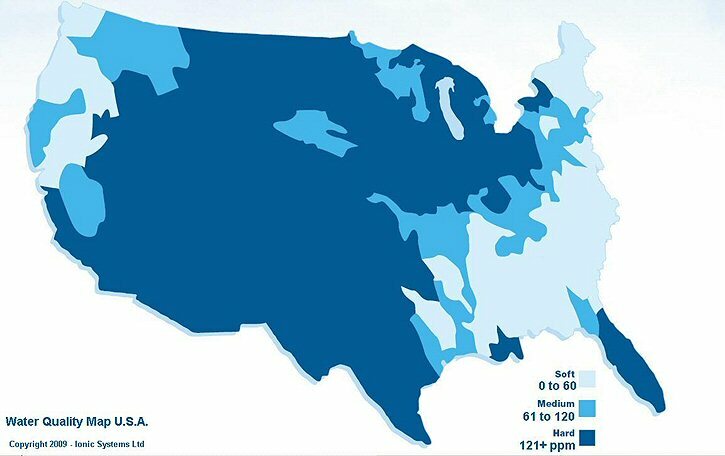 This is where the importance of showering correctly as a whole comes in. Kramer enjoyed showering so much that he installed a garbage disposal so he could even prepare food while he was in the shower. He even bought a shower head specially reserved for elephants. Take a long, hard look at your bathing habits. Water quality, duration and lather habits are all highly important to healthy skin. The chlorinated pools of the YMCA just couldn’t cut it for Kramer. He found solace in swimming the brackish waters of the East River. While we can’t condone the act of swimming in the polluted waters of the East River, we think there’s something to swimming in salty waters for the skin. Not only does the salt water have magic effects on the skin pH but the health benefits of this type of swimming are enormous. People that eat a healthy serving of fruits and vegetables have better overall skin health. 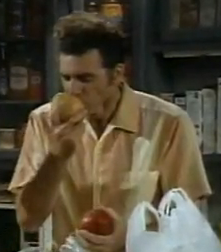 You didn’t need to tell Kramer this as he regularly consumed fruit of all kinds. He became so picky about his fruit that he was even banned from the local farmer’s market. At one point he even cut off storing foods long term, opting for fresh fruit only from food stands. This is a habit that you should take to heart. The right amount of fruit and vegetable servings not only makes your skin glow but it’s healthy for your overall wellbeing. The fresher the better as Kramer always said. 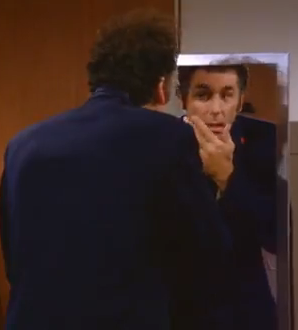 Kramer was by no means a Julliard-trained dermatologist. Now his alter-ego Dr. Van Nostrand on the other hand was a different story. While impersonating a dermatologist, Kramer found himself in hot water over a patient’s possibly cancerous skin tumor. He scoured the medical books to see if he could figure out what was wrong and almost opted to take a deli slicer to the tumor. Don’t take a deli slicer to a skin tumor but be proactive about any changes to your skin. If your questioning a skin condition try asking online. Contact us with a question and we will do our best to answer with a solution. “Kramer goes to a fantasy camp. His whole life is a fantasy camp. People should plunk down $2,000 dollars to live like him for a week.” This is perhaps most important point I can make. Kramer is a rare character in pop culture. He’s not only known for his antics but for his lack of stress. Over anything. Kramer lived like he wanted and that was how it was. No fusses about it. Studies show that people that live the longest are the ones that live optimistically. That’s good for your skin and for longevity. Kramer did some terrible things for his skin that are best left unmentioned – but I’ll mention anyway. He tanned too much and he smoked cigars. So take the examples with a grain of salt. The specific instances of how Kramer lived his life is not something any sane person should mimic. But the general points stand. Treat your skin right and your skin will look good. Put the right things in your body and it will show. Have the right outlook and it will show. Some benefits of Carley’s Masks can be derived from just five minutes (and up to 30 minutes) of use once or twice a week. If you only take showers, just apply a mask before your shower. A mask may not be fashionable out in public but you’ll be fine hanging around the house until it dries. The eyes and the neck and the mouth areas are the first signs of aging. 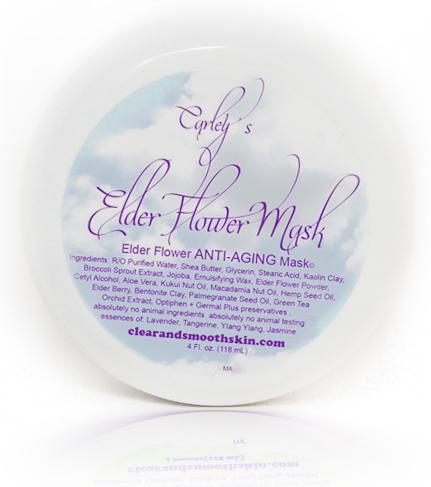 This mask is so thick it can be applied even right over the eyes lids. Just close your eyes tight when applying. Then you should be able to open your eyes. 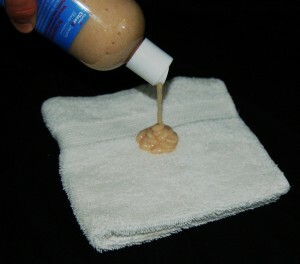 Another method involves pulling the skin in one direction and then another. Put all of your finger tips just under the jaw bone and pull the neck skin down. Then the opposite direction. The mask is just slippery enough to maximize these massage movements. Do similar massaging around the eyes. This encourages your body to get going producing new blood capillaries. Carley’s Masks are considered an Active Mask. 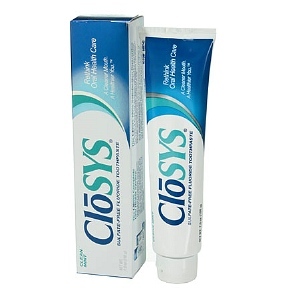 This means that benefits can be derived by doing a gentle massage right before removing. This massaging not only feels great but it improves the blood flow. Some say a huge reason why many men’s faces age well is the daily shave that requires this constant facial muscle movement and massaging. For women, they can stimulate these effects by using a mask and giving yourself these facial movements. After all, it’s not like you can lift dumbbells with your cheek bones and benchpress with your eyebrows! 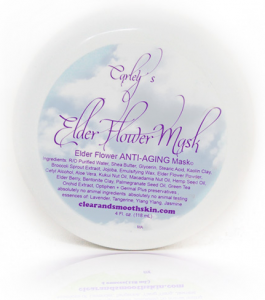 Some of the ingredients in this mask are the right particle size that this massage also works similar to a micro-dermabrasion to help smooth your skin even more. For those fitness freaks out there, equate these massage movements with the mask just as you would any exercise. As you becoming more fit your muscles develop more capillaries so your body can deliver oxygen to more areas of the muscles. The face is much harder to get this going but there’s no reason why daily facial muscle movement shouldn’t help.